With lavender and botanicals this is an ideal way to cleanse away the aches and pains leaving you feel rested and relaxed, Peaceful aroma therapy, immerse your entire body. Two tablespoons - per bath. Hydrates and refreshes the skin. Natural with no water, only mist that falls from the still, when oils have been extracted above. It is a natural toner and doesn't stain. Great non oily room spray. Pop in the fridge in summer for a more refreshing feel. May assist in healing with the body. An all natural product that feels soft, smooth and refreshing when showering. Leaves your skin feeling silky and rejuvenated. A beautiful, soft and natural powder made from organic fine french clay. With the help of lavender could renew your cells. Recommended for all body types. Ideal gift for someone who has everything. This Australian made product will astound with it's benefits. Use topically when needed and apply 10 minutes following to enhance. 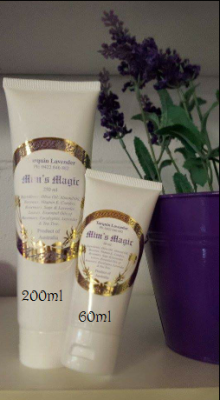 I have been using Mim's Magic for over five years. I had never experienced a product where the benefits it provided far out way any costs. Especially for burns or scalding. Having worked at a roadhouse/cafe for 2 1/2 years I found Mim's Magic invaluable for the minor burns and cuts I inflicted on myself. This product has the capacity to draw the heat and pain up to the surface of the skin and then the pain is gone. I also found it helped my skin to heal quite quickly with burns,scratches, bruises and cuts. I love this product. I made sure that all my family especially with the grandchildren have a tube or tin. I am very happy to have found this product especially as it is an Australian product. Absorbs, cleanses and rejuvenates hair follicle within 20 seconds. Not recommended on colour hair, safe for all to use. Aromatherapy. Gorgeous hand cream up there with the best you'll find on the market. Carrot oil, lightens up ages spots. Lavender oil, kills bacteria, dermatitis. Geranium oil, could help balance out hand skin tone. Use on dry hands to avoid breakouts. Best used before applying imitation nails. Lasting moisture and non greasy. 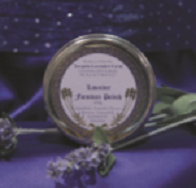 May assist with keeping your lips healthy and moisturised, all natural balm that smells devine, could also prevent damage to the lips and soothes wind burn, cold sores. Pocket sized elegant glass jar making a perfect gift. 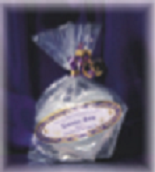 Soft, alluring feel with natural oils makes this a must treat for after washing. Skin benefits and healthier then before. Easy use flip top cap. Easy travel size and great for that spare bathroom when folks come over. Combines all the natural goodness of the large bottles. Aluminum bottle with a screw top. Approximately 3 uses. Leaves your skin feeling silky. May Assist with eczema, psoriasis, open cuts, rashes. 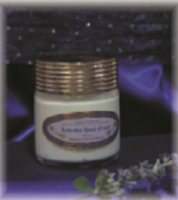 All natural lavender oils to help renew cells. Great for baby and heals quickly. Safe for any skin type. Apply and leave for 20 seconds then wash off. Use whenever needed. Good for hand wash, dishes and basically everything you can think off. All natural and organic clay. Used as a refreshing treat for the skin. Apply generously and leave for 10 minutes. Wash off with luke warm water. Enjoy a slight tingly feeling as it stimulates the skin. Wait about 10 minutes before applying toner or day cream. Lavender Angustifolia, picked before it flowers to release the oil slowly, can last up to 7 years with smell. Squeeze a little when you feel to get a new fragrance. May assist with retaining moisture in your skin and healing. 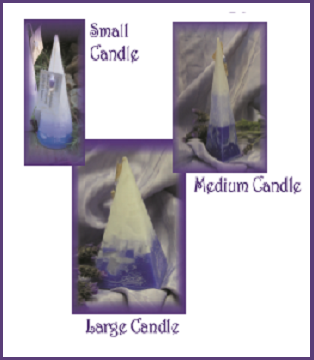 Relaxing smell, glides on without a sticky residue. 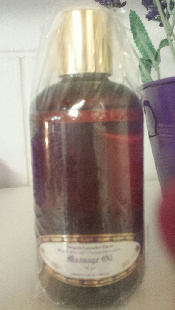 All natural oil renews your cells and absorbs quickly and highly indulgent. Takes about 10 minutes to soak in and can be used as a general moisturizer. Longer shelf life than some others because almond oil is not easily oxidized. 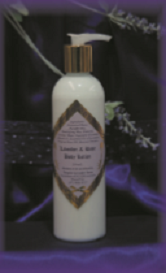 A non-greasy soft and fragrant lotion with natural lavender oils, that may help renew and heal your skin cells. Handy pump bottle for easy use all over the body, absorbs quickly and easily. A great gift. Also great for shaving legs. 100% Angustifolia, great for headaches( 2 dabs on temple) relieves symptoms. Help with rest and sleep, works well well in burners or spray bottle with water for an air freshener and ironing mist. May reduce redness and dry feet - after a busy day, non greasy with peppermint to eradicate odour. May assist in circulation and healing in the feet. Rub in lightly and generously. 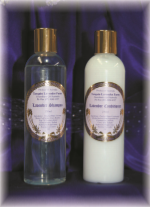 Natural lavender oils, may induce rest and take tension away, when showering leave on for up to 20 seconds. The fragrance captures you instantly just beautiful. Makes this a brilliant bubble bath, big bubbles, long lasting supply. Use to refresh furniture and keep a lovely fragrance for months in your home. Give a water proof coating that shines.